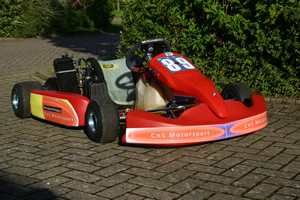 Complete kart (£1400) ready to go with Senior Max and spares (alternatively Mini/Junior Max engine), or a rolling chassis (e.g. no engine) for £400. Spares inc. axle, wheels, bodywork etc.